Sedaris is now a literary celebrity. He’s one of the few writers who can fill Carnegie Hall with his adoring fans and who’s been considered funny enough to appear regularly on The Late Show with David Letterman. During his days as Crumpet the Elf, however, he never thought he’d see his dream of being a published author come true. “I’m wearing a green velvet costume; it doesn’t get any worse than this,” Sedaris- as-Crumpet quips darkly. But his career would profit immensely from this time spent faking holiday cheer and herding frazzled families for their photo with Santa. It was “Santaland Diaries” that introduced Sedaris’s signature deadpan humor to a national audience, catapulting him to fame in the early 1990s. “‘Santaland’ was the first thing I ever had on the radio. I’d read out loud before and had things published in small magazines, but no one had ever heard of them. When I did a reading out loud, there might have been eighteen people in the audience. To go from that to the Morning Edition audience is a pretty substantial leap. “After ‘Santaland,’ the phone just started ringing. One time, a telephone operator even called me. She called to say that she had heard [the piece]. I didn’t know operators were allowed to make calls. I was thinking, ‘Don’t you need to be at your switchboard? Maybe somebody needs to go to the hospital.’ …I was very, very surprised. The rest is history. 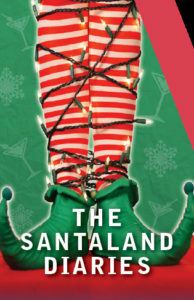 Thanks to the wild success of “Santaland Diaries,” Sedaris, in his words, “went from having 50 listeners to 50 million listeners.” Soon after, he landed the book contract that led to his first published collection of essays and short fiction, the critically acclaimed Barrel Fever (in which “Santaland Diaries” also appears). 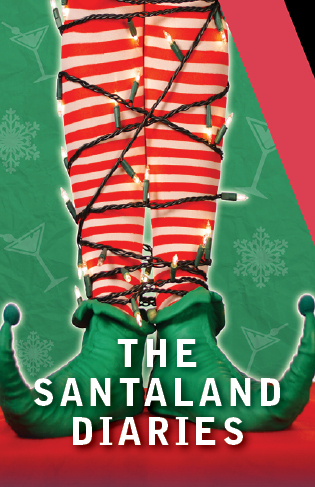 The Santaland Diaries is now showing at Actors Theatre in the Victor Jory Theatre through December 23rd, so be sure to go check out this David Sedaris masterpiece before Christmas!